Renato Sanches hopes his personal renaissance amid Bayern Munich's flagging form leads to more regular playing time. Niko Kovac's arrival at Allianz Arena has coincided with a spike in Sanches' fortunes following a frustrating postscript to his eye-catching Euro 2016 performances. The Portugal midfielder struggled to settle in his first season in Germany and fared no better during a loan spell at Swansea City that ended in relegation from the Premier League. New Bayern boss Kovac wiped the slate clean and, after two Bundesliga starts and a goal in the Champions League, the 21-year-old now wants a greater slice of the action. "The relationship with the coach is very good," Sanches told Bild. "Sure, I'd like to play more. We have a lot of internationals in our team and the coach has to rotate. "But I would like to have more minutes." 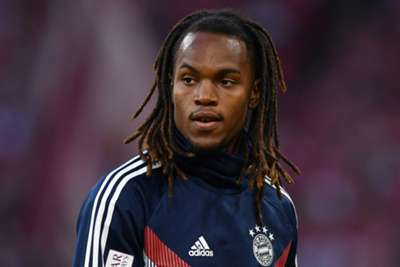 Sanches appeared off the bench in the recent 3-0 loss to Borussia Monchengladbach which extended the champions' winless run to four matches in all competitions. Rumours of dressing-room unrest have emerged alongside criticism of Kovac's persistent tinkering with his starting XI. However, Benfica product Sanches insists the mood within the team is nothing out of the ordinary. "It's clear that we always feel pressure," he said. "We always have to do our best and represent the best club in Germany. "It's normal that there are discussions [if matches are lost]. That's part of the business and no problem at all."